Order the highest quality professional brand supplements directly, such as probiotics, prebiotics, greens, Kavinace, fish oil, prenatal vitamins, and more! You can always call or email Jason at (720) 675-7297 to order to be shipped to you or picked up at the office. 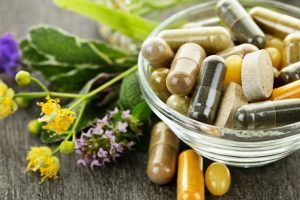 Ordering supplements online through links on this site always gets you discounts and/ or free shipping on a wide variety of the highest quality supplements available. It also supports my practice and guarantees that you will receive authentic products from recent batches that are not expired, which has been an issue with some public websites. Please let me know if you cannot find something you need. In regard to free shipping, it is on Xymogen orders over $49! Access the Xymogen eStore at https://store.xymogen.com. 1. Click on “I Have a Referral Code” at the top left of the page. 3. Enter your information to establish an account with Xymogen. Patients may also contact Xymogen Customer Service at 1-800-647-6100 [between 9am and 6pm Eastern Time] to establish their account and register for online ordering. 10% discount when you shop online at Natural Partners! Natural Partners is your source for Kavinace, fish oil, probiotics, multivitamins, and much more. 2. First order: Click “Create Account” top right-hand corner. Enter access code “opengate” and fill in your information. 3. Future orders: select “Login” and log in to your account. Please do not hesitate to call, text, or email if there are any issues.